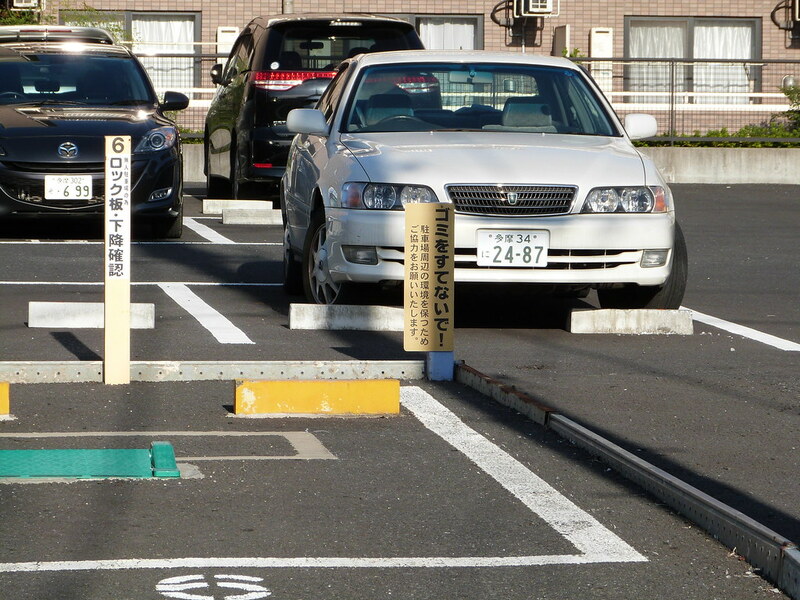 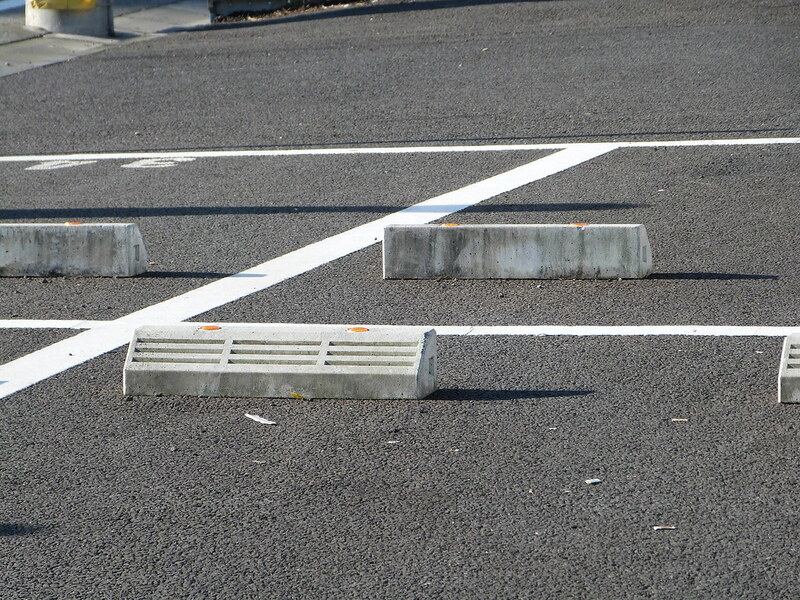 As noted in Deadspace Parking as BMX Training Course these income-generating asphalt plots become obstacle courses for budding and/or PRO suburban Tokyo BMXers from 12:30am onwards. 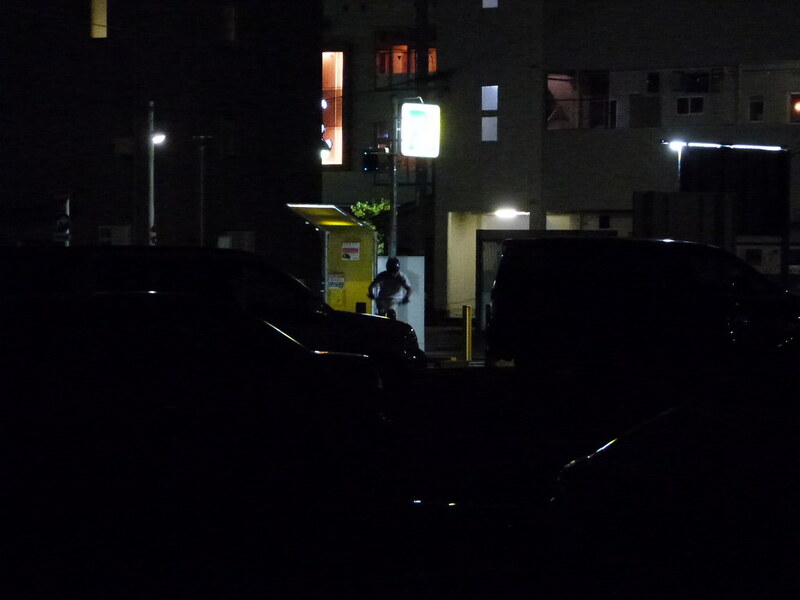 Tonight as I return in the Dark Hourz I find the same man in a different coin parking space. 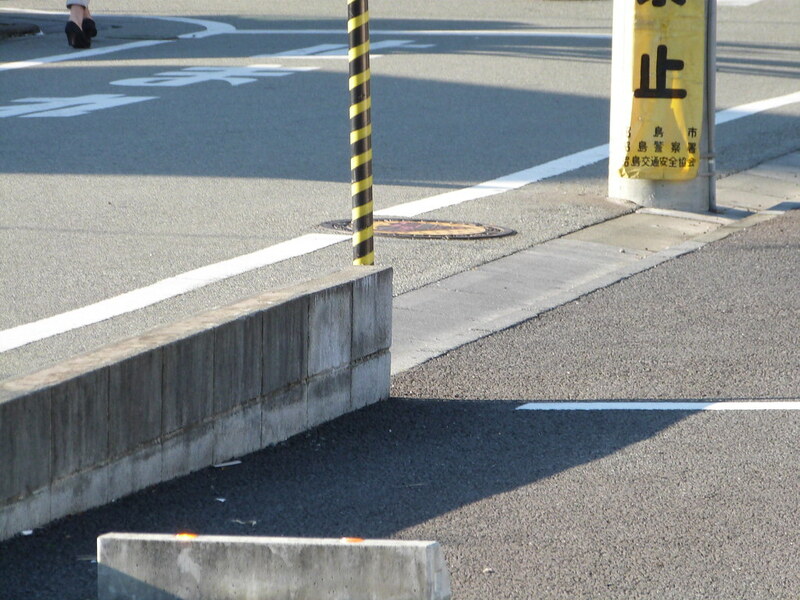 I wonder whether he moves around to avoid detection or whether these spaces offer a valuable diversity of terrain that I have not before detected….. 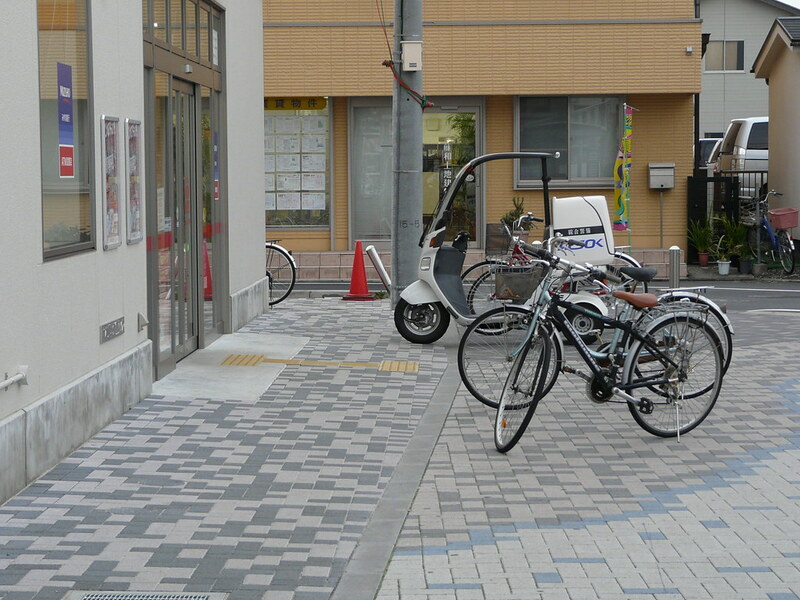 I need to look at those wheel clamps, judder bars and smooth asphalts more carefully. 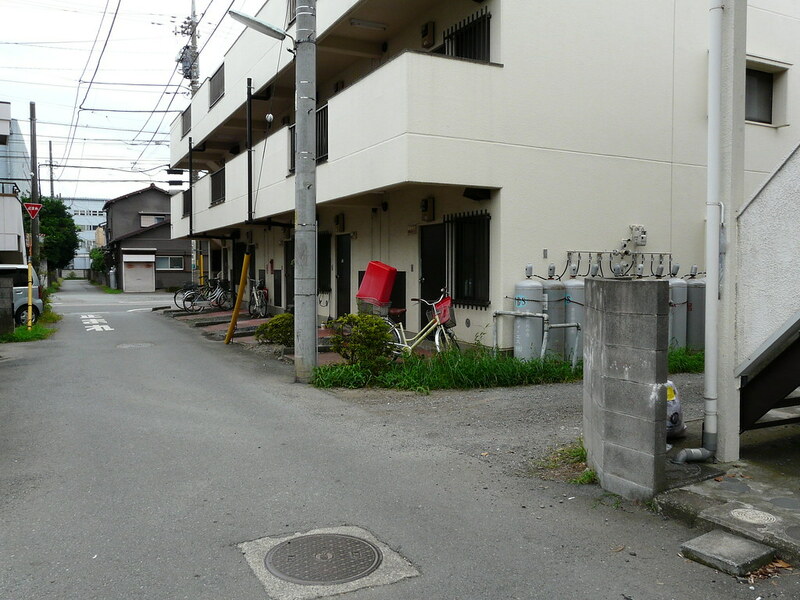 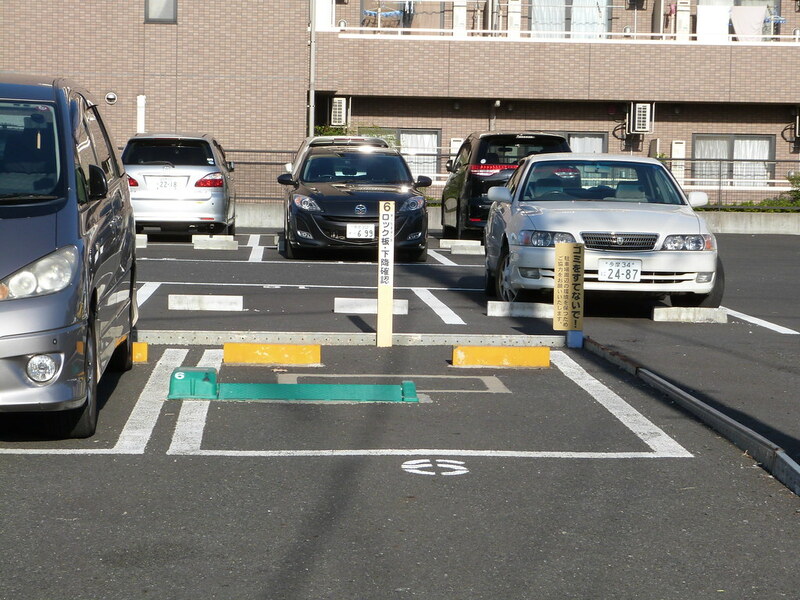 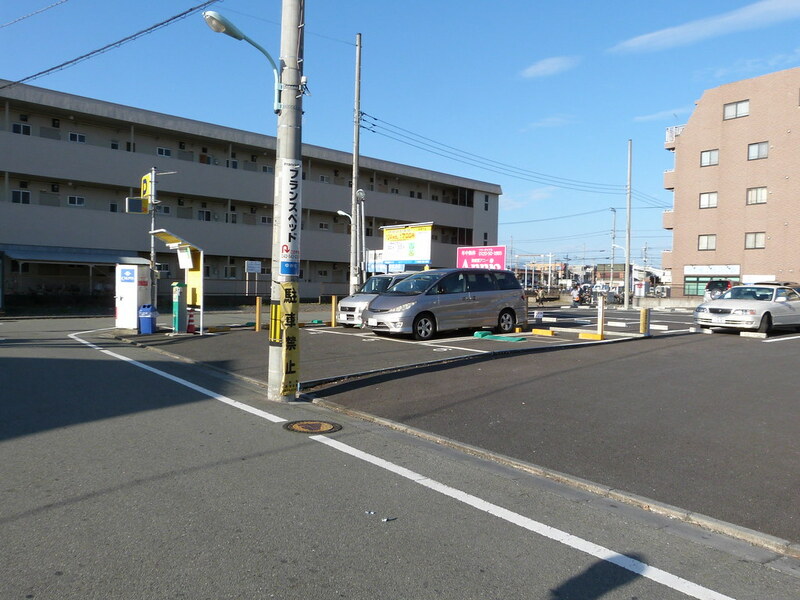 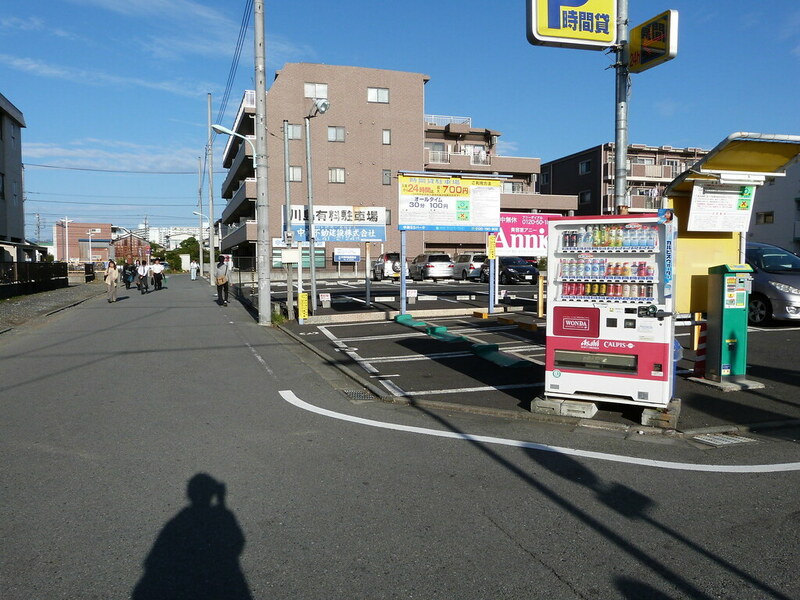 We often decry Tokyo parking lot deadspace as an unimaginative and underused default money-making use for vacant lots but this stance exposes our own prejudices against concrete and blinds us to the diverse possibilities that the rugged terrain may offer. 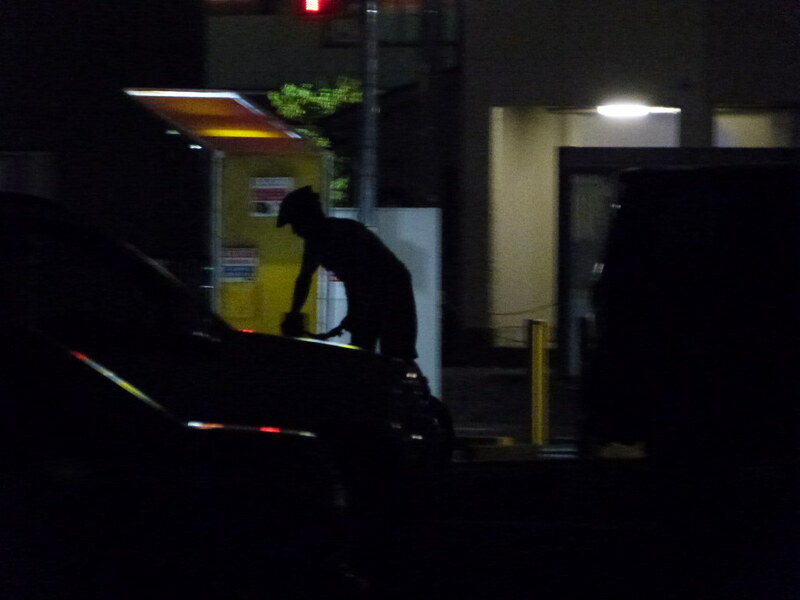 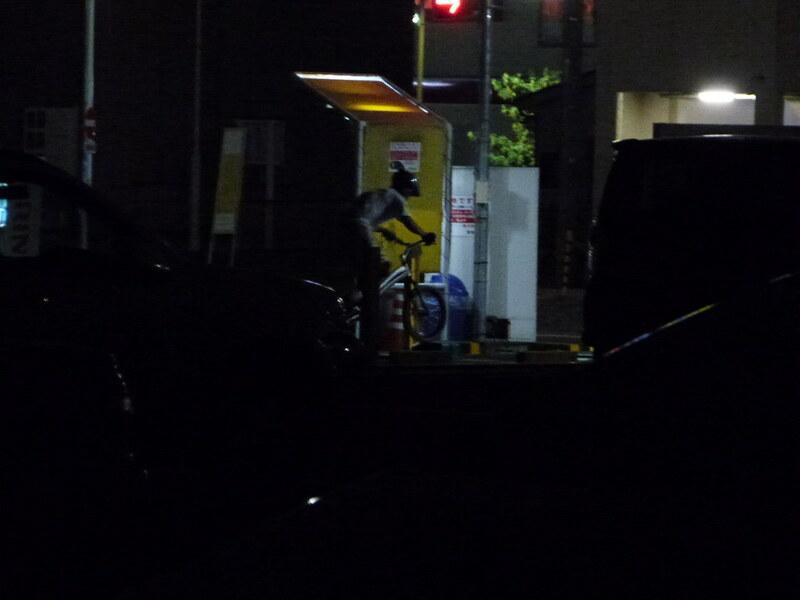 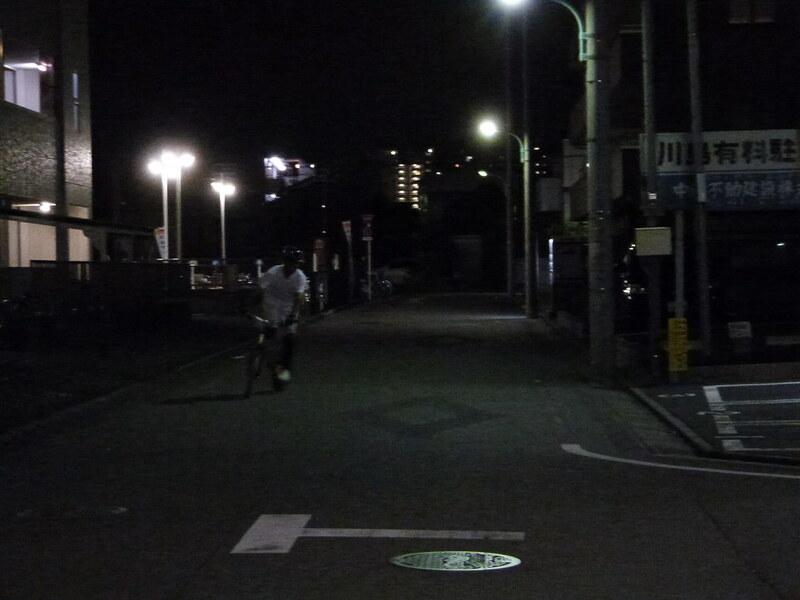 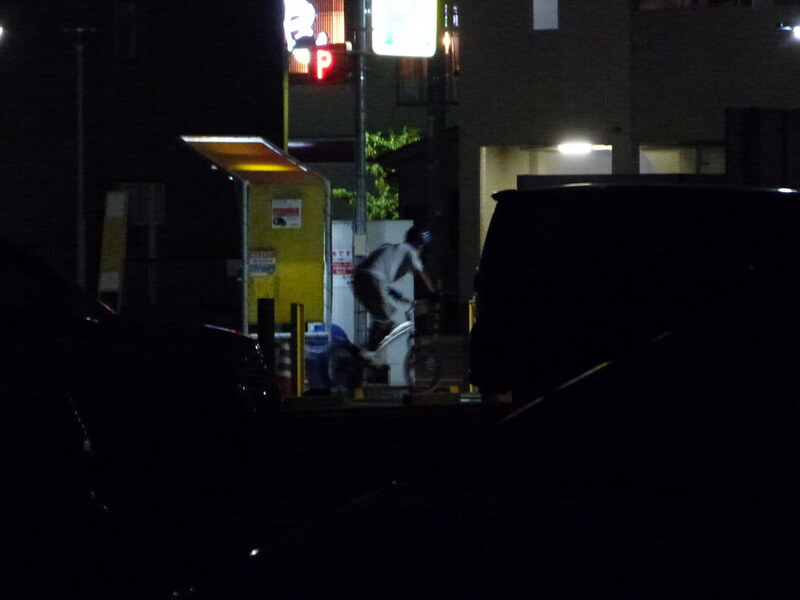 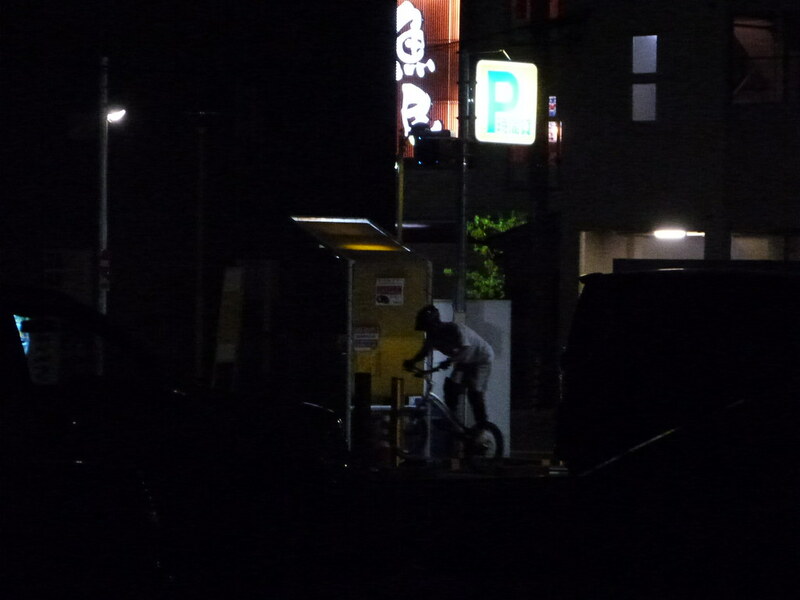 Here, a half-empty suburban Tokyo pay-parking lot is the scene of a solo BMX training session in the early hours of Wednesday morning. 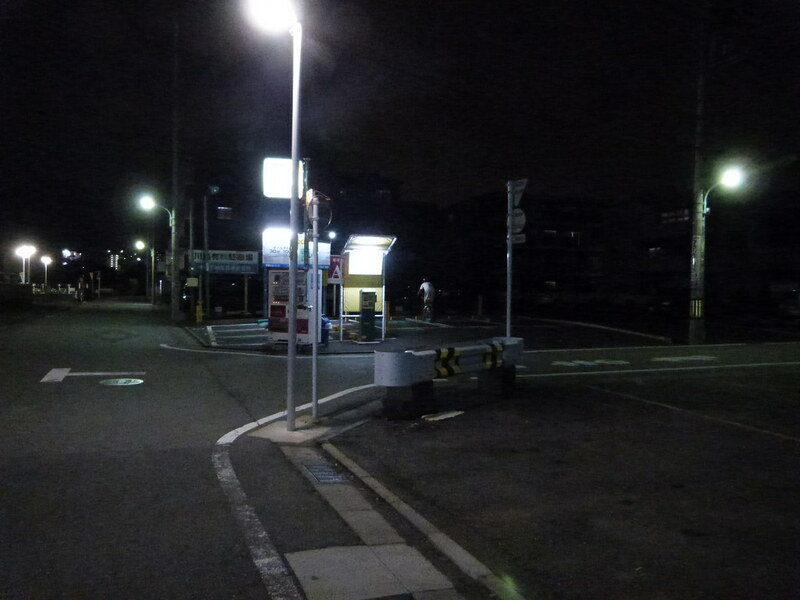 It is easier to record the remnants and artifacts of human(e) use of the city than it is to record use-in-action, but this example encourages me to spend more dark hours wandering the streets. 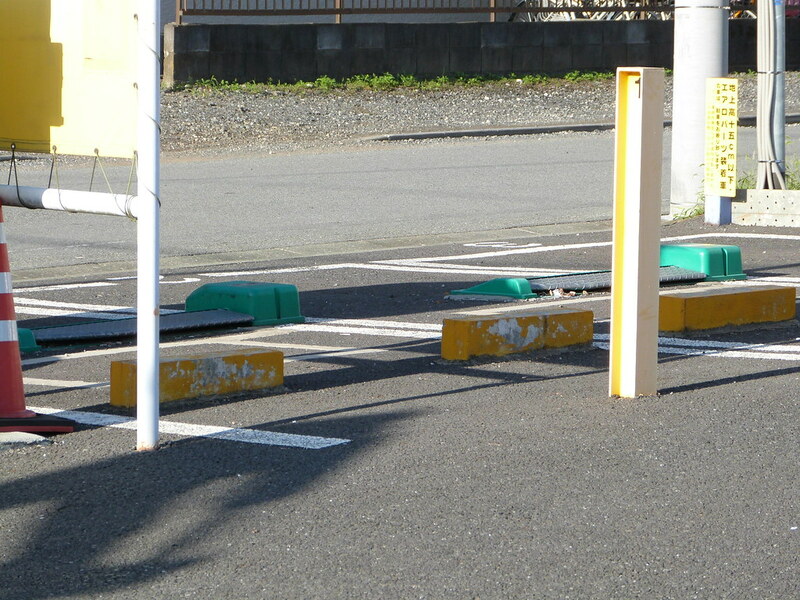 I wonder how these deadspaces by design are used when prying eyes are asleep: Deadspace by Design ONE & TWO on Tokyo Green Space. 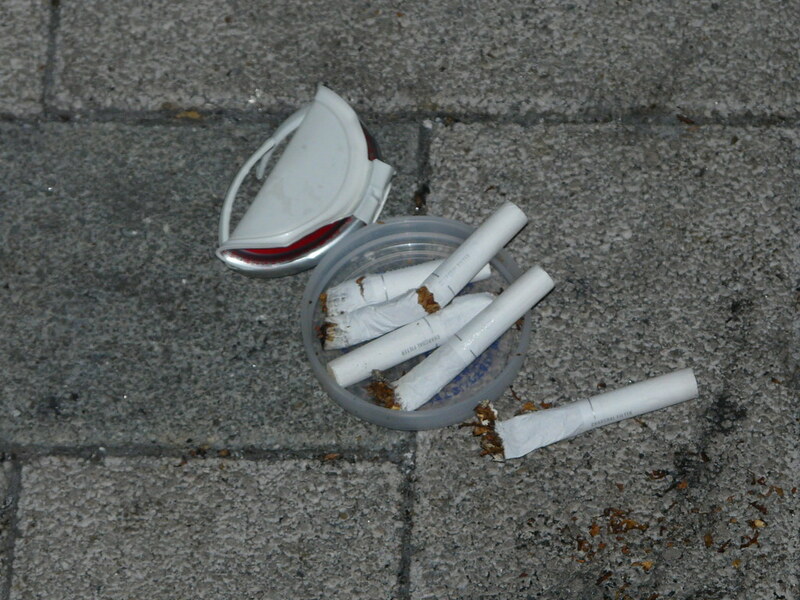 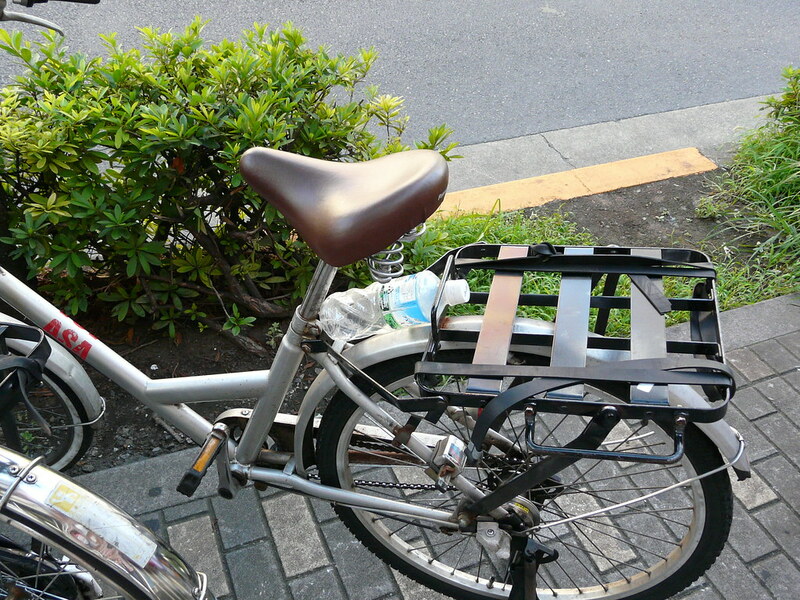 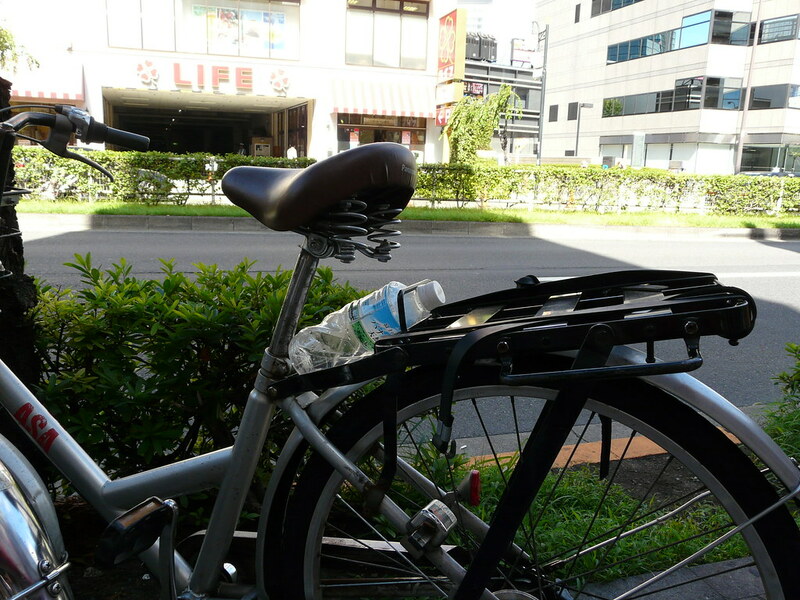 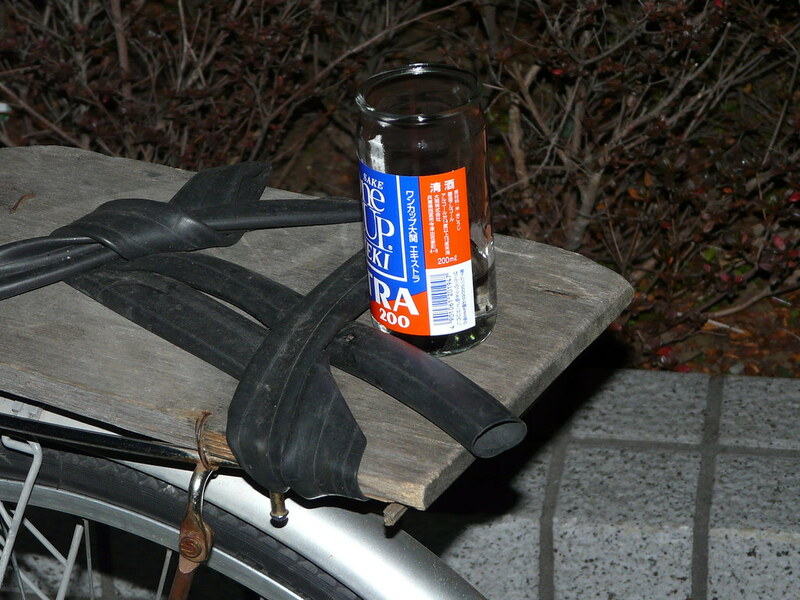 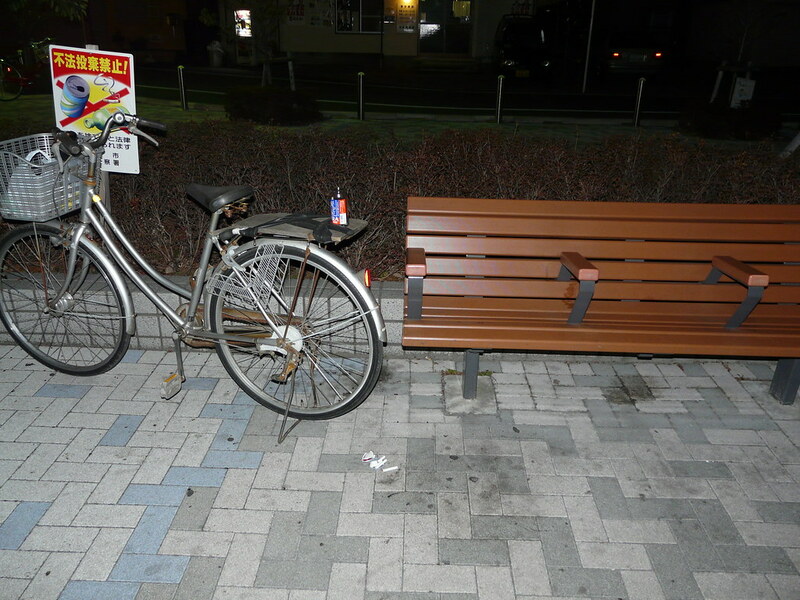 Use the carry rack of your bicycle for a coaster, the lid of your drink as an ashtray – a simple private bar in front of the station. 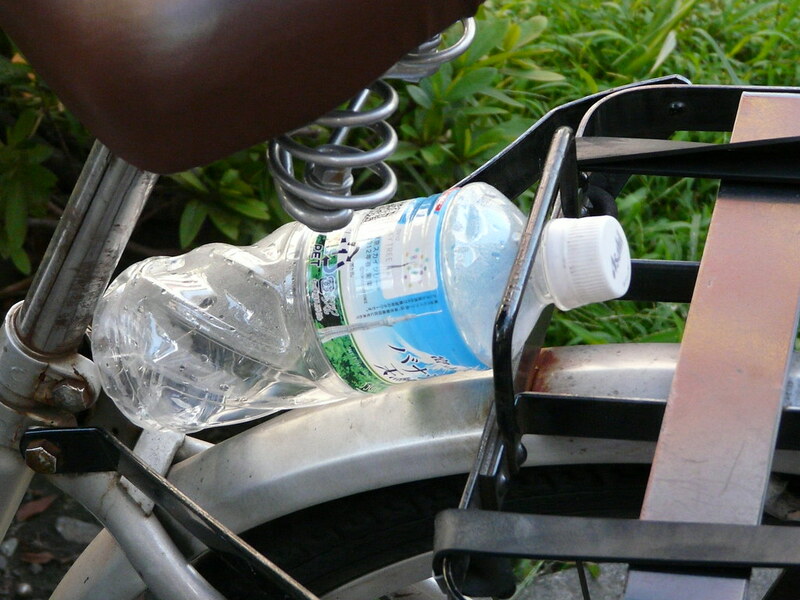 Storage for a PET bottle on the go. 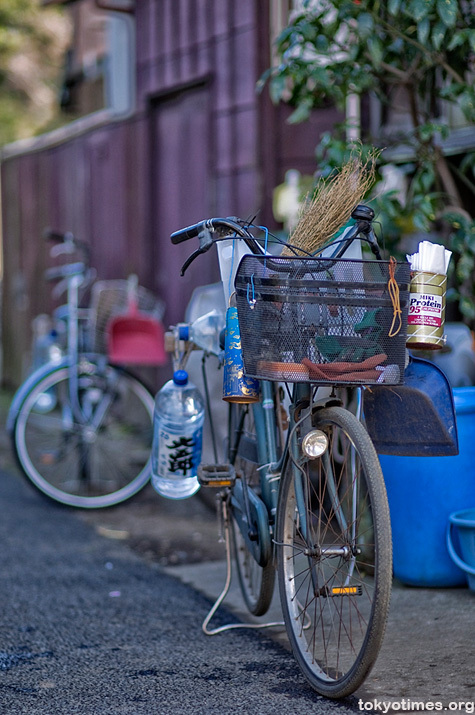 Rubbish bin cleaned and out to dry on a spare bicycle. 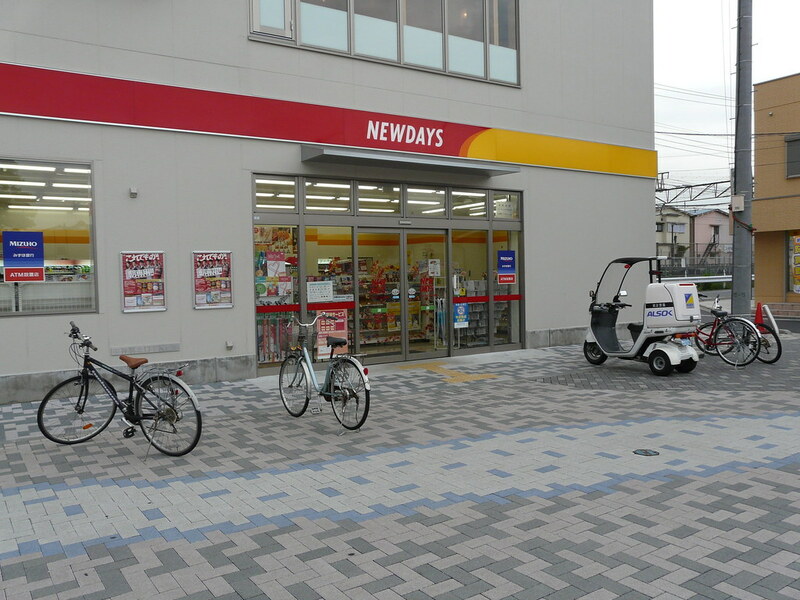 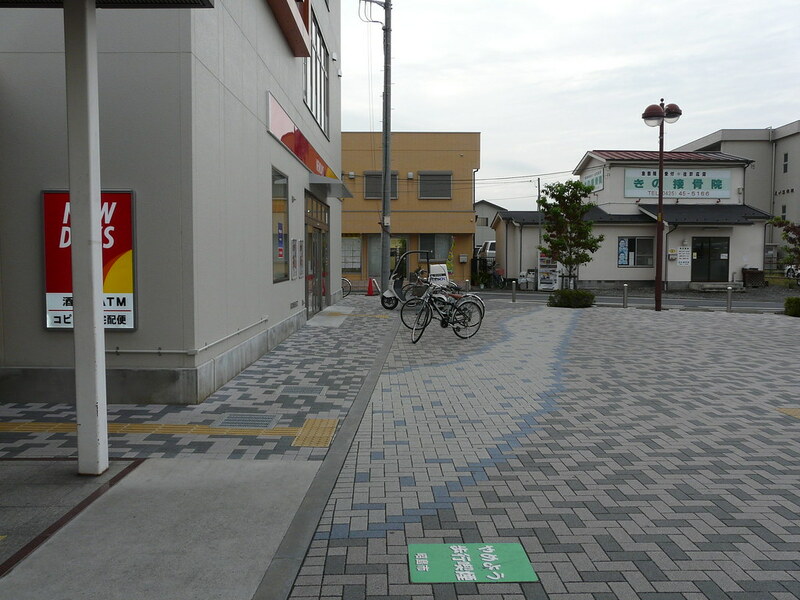 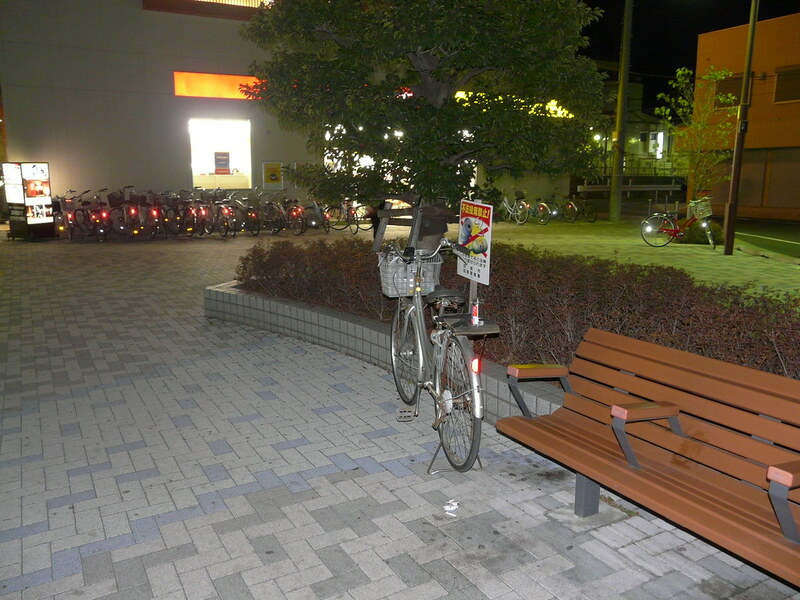 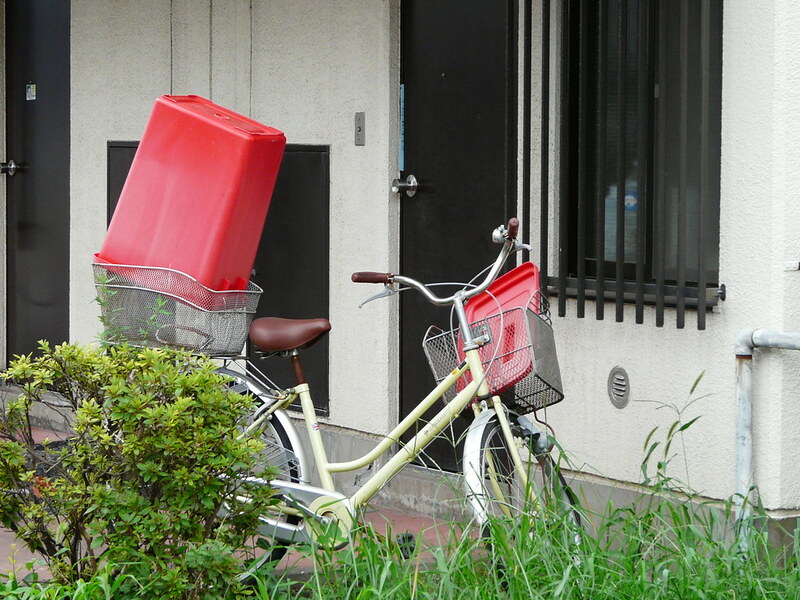 Bicycles are parked in a way which creates a path of least distance from the exit of the train station to the nearest convenience store. 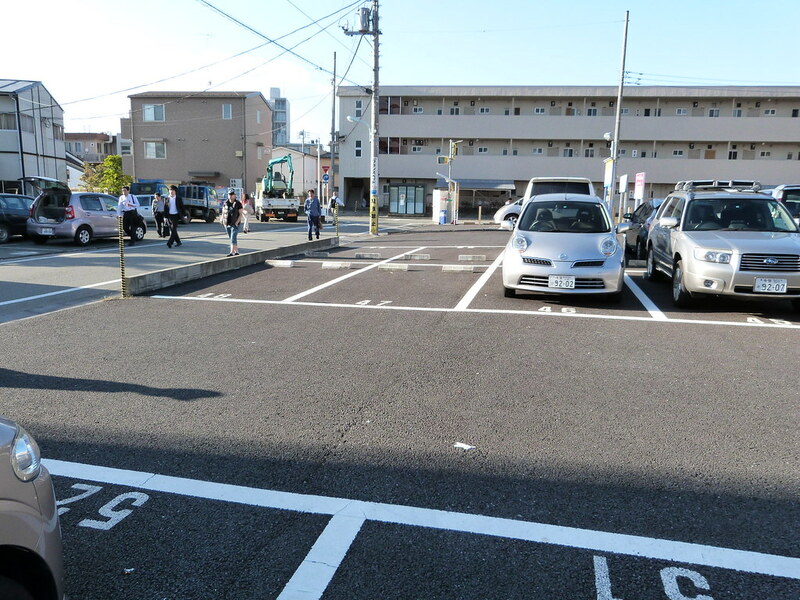 I imagine that one reason for this courtesy is to try to stave off retribution for parking in a no parking zone – another may be the subconscious adherence to the paved markings in front of the shop (a very subtle but effective form of control).